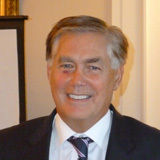 Mr Jim Scholes, appointed 1 July 2012. The career of Jim Scholes has been spent in the practice of the law and, in particular, as a prosecutor over a period of thirty-six years. During that time he has held a number of senior appointments including Acting Director of Public Prosecutions for Northern Ireland and Deputy Director of Public Prosecutions for Northern Ireland. He was appointed a Parole Commissioner for Northern Ireland in February 2013. He is also a board member of Chest Heart and Stroke Northern Ireland.